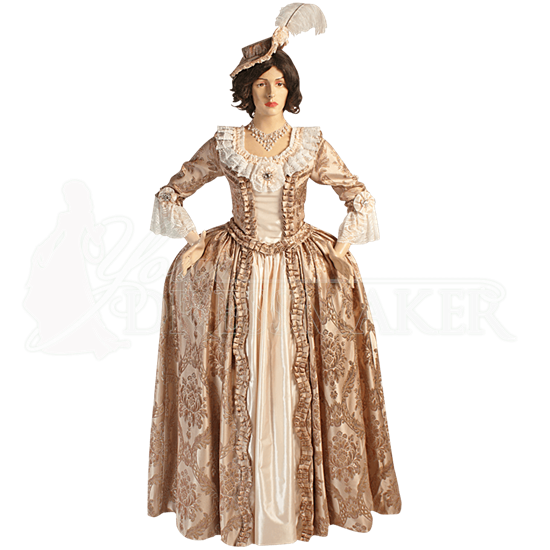 Dress yourself in the fashion of French nobility when you wear the Baroque Renaissance Dress. This extravagant gown is made of brocade and taffeta adorned with generous cream colored lace and artfully handcrafted ruffle details. Layers of lace adorned with lace and ribbon roses decorate the round neckline and the elbow cuffs of the fitted sleeves. Inner boning gives the corset its shape, and a zipper closure on the back makes it easy to wear. The central panel of the dress displays the taffeta bordered by the carefully crafted brocade ruffles. 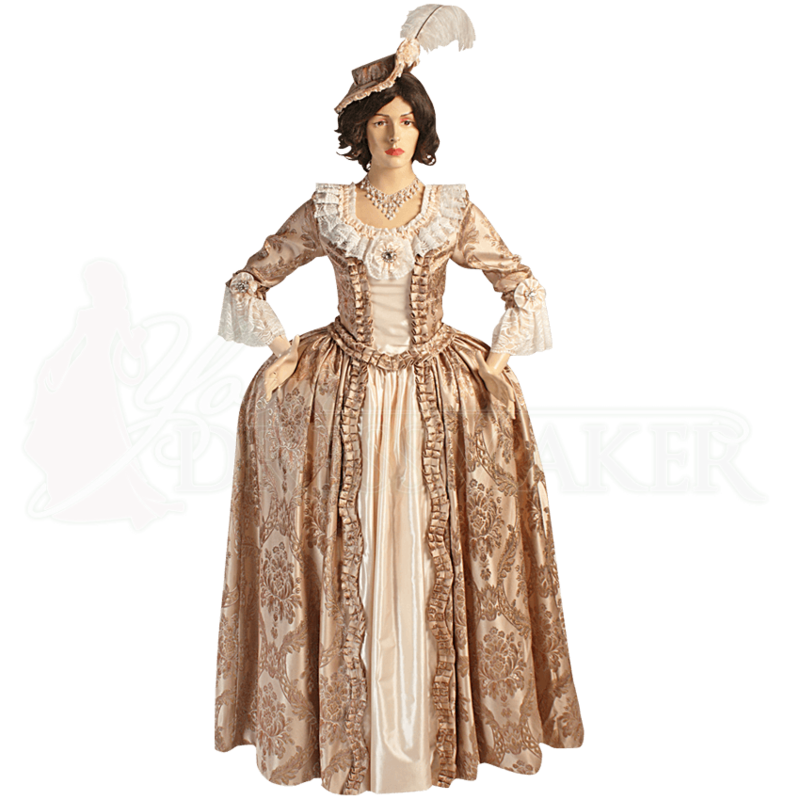 Ideal for wearing to your next Renaissance festival, costume ball, masquerade event, or other historic reenactment, this dress looks best when worn over a pannier, sold separately, which will give it the wide-hipped look seen here. The jewelry and hat shown here are not included.